On this week’s programme, as the National Health Service marks its 70th anniversary, Roger will be looking back at start of the NHS. 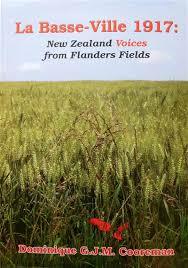 He’ll also be in conversation with Dominique Cooreman, a Belgian-born retired court judge, who is the author of LA BASSE-VILLE 1917: New Zealand Voices from Flanders Fields (ISBN 978-0-473-35278-3), a book which explores aspects of the New Zealand involvement on the Western Front. Her continuing research has brought her to the Isle of Man, and she joins Roger in the studio to explain more. If you'd like to find out more visit the Facebook page La Basse-Ville1917, or email Dominique at labasseville1917@gmail.com.